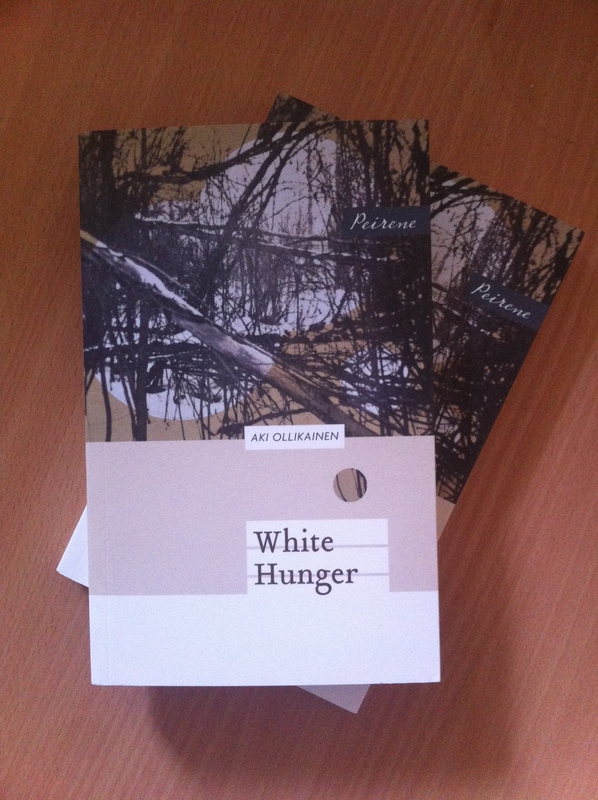 We have two copies of White Hunger to give away to our readers! Translated from the Finnish by Emily Jeremiah and Fleur Jeremiah and published by the fantastic Peirene Press (you can read an interview with ex-Marketing Director Maddy Pickard here), this debut novella by Aki Ollikainen has proved extraordinarily successful in its native Finland. Winner of the Best Finnish Debut Novel 2012 and Finnish Book Bloggers’ Best Book 2012 amongst others, this is the first time that this book will appear in English. The novella is set in 19th century Finland, and follows a young woman’s journey from Finland to St Petersburg in a desperate attempt to save her young children from starvation. To be in with a chance of winning one of the copies, all you have to do is like us on Facebook and share the post about the giveaway. If you’re not on Facebook then you can do the same on Twitter (follow and retweet), and if you abhor all forms of social media then you can either follow the blog on WordPress and leave a comment with your name below, or subscribe to us via email and send an email with your name to theoxfordculturereview@gmail.com with the subject ‘Peirene Give-away’. Winners will be announced on the 30th January, and we will contact you for your address so we can send you your copy. Good luck! For more information about ‘White Hunger’ or Peirene Press, please visit their website. I have been praying for this books to be translated into English, so I’m extremely happy to hear that this is happening! In my opinion it’s definitely one of the best Finnish historical fiction out there! I suggest that you sign up for the giveaway and also check out the other cool posts on The Oxford Culture Review. Retweeted via Twitter so hoping that puts me in with a chance! It definitely does! Best of luck and thank you for participating!